The Florence and George Wise Observatory, was dedicated in October 1971. 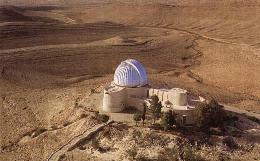 The observatory is owned and operated by the Tel-Aviv University,Israel . Initial funds for the project were provided primarily by the late Dr. George S. Wise, first President of the Tel-Aviv University, and the Smithsonian Institute. 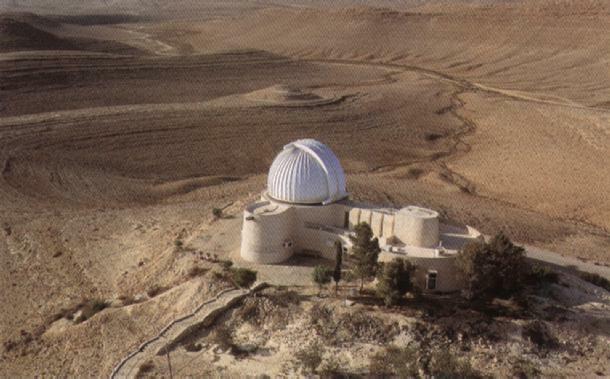 It is located on a high plateau in the central part of the Negev desert, 5 km west of the town of Mitzpe Ramon, which is about 200 km south of Tel Aviv and 86 km south of Beersheva. For more information about the Wise Observatory location and observing conditions, see our Site Description Homepage. The observatory headquarters and administrative offices are located in Kaplun building (see interactive Tel-Aviv University map) at the Raymond and Beverly Sackler Faculty of Exact Sciences. The Wise Observatory belongs to the Department of Astronomy & Astrophysics , which is part of the School of Physics and Astronomy . 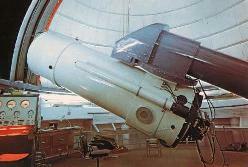 The Raymond and Beverly Sackler Institute of Astronomy was established in 1994 to incorporate all the astronomical research carried out at TAU, including both the observational and the theoretical.